Jared Heath is Partner at Corrs Chambers Westgarth. With a wealth of government advisory experience, Jared has provided strategic and commercial legal advice on high-profile projects with complex policy and political objectives and diverse stakeholders. Jared has advised government and the private sector on various major projects, including Public Private Partnerships (PPPs) and other diverse structures, as well as significant legislative, regulatory and policy reviews and integrity inquiries. 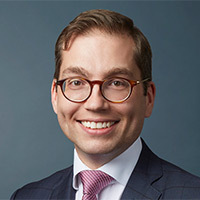 Jared has completed secondments as the Principal Legal Adviser to the Victorian Royal Commission into Family Violence and as International Counsel at Soemadipradja & Taher, one of Indonesia’s leading law firms. Jared has a Bachelor of Arts (Hons), Bachelor of Laws (Hons) and Master of Laws from the University of Melbourne. Jared is a director of the Australia Indonesian Business Council and the Springvale Monash Legal Service.